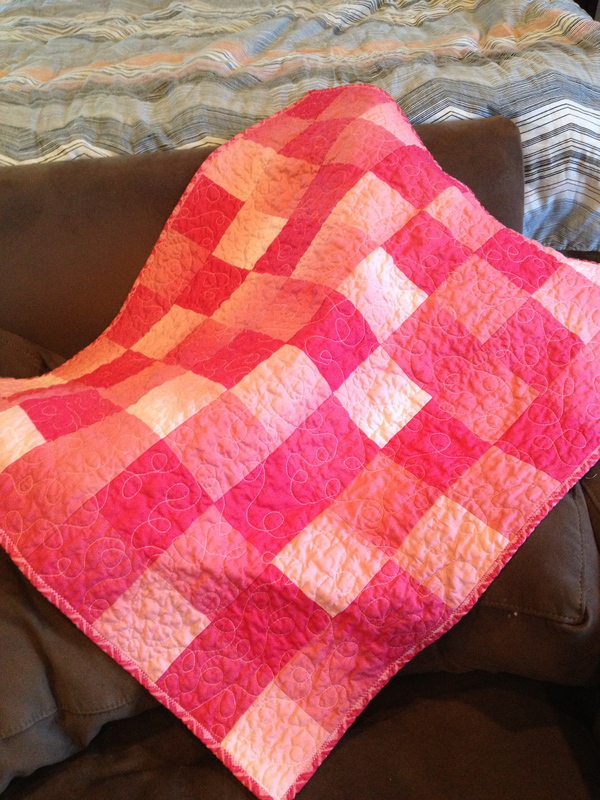 I’m continuing playing with the Simply Color line of fabrics by making a trio of mini quilts for display at Rock Paper Scissors. 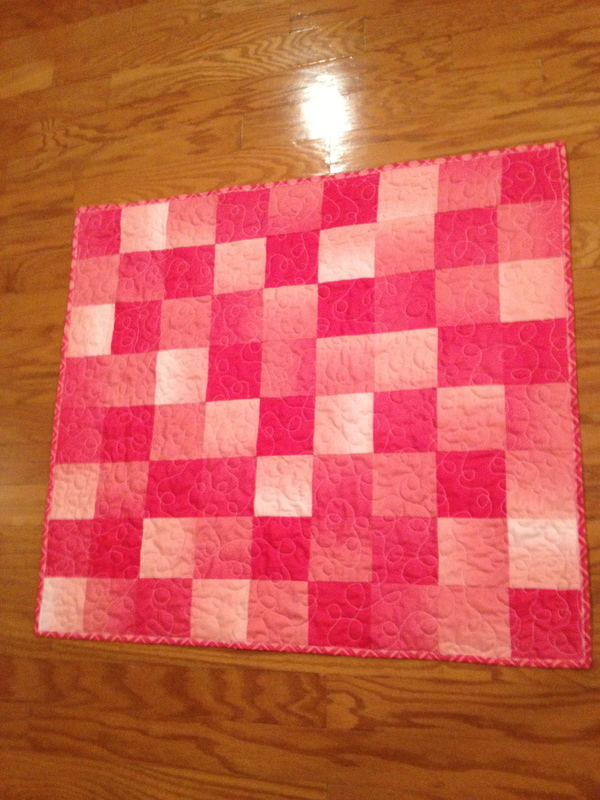 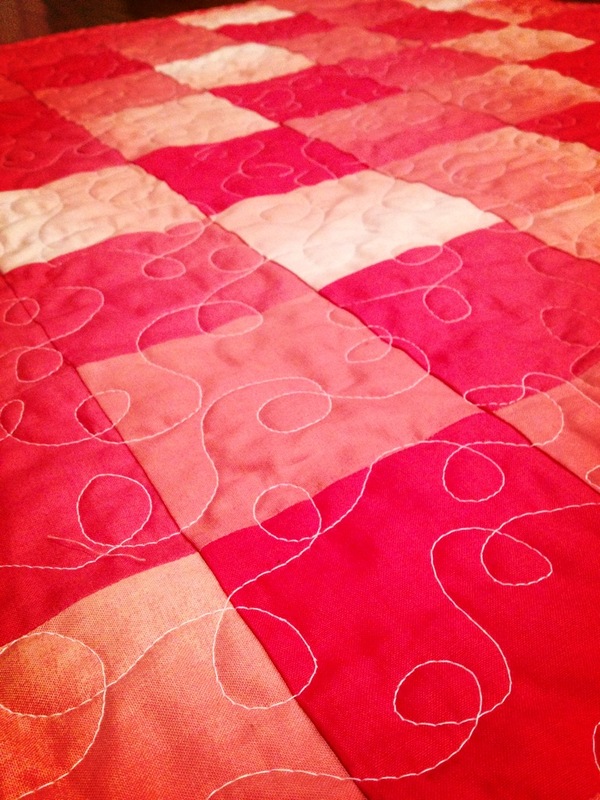 First up is Pinkscape, which features 4″ squares of the pink ombre fabric with looped free motion quilting. 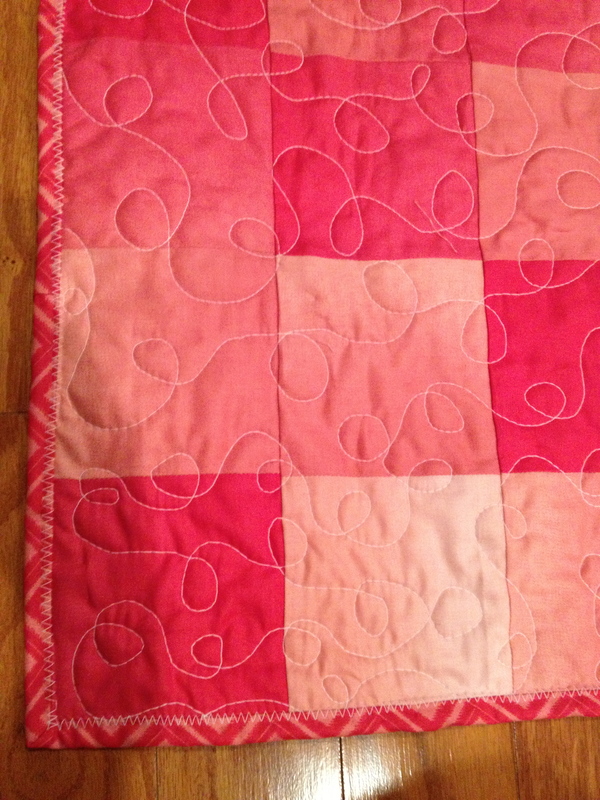 The back and binding are a diamond fabric from the same line.